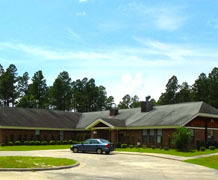 Our mission is to provide high-quality compassionate behavioral healthcare to young men by utilizing evidenced-based practices, and rendering exclusive therapeutic residential treatment services in a safe, caring environment leading to independence, and opportunities to grow and develop personal connections in a natural setting. We believe individuals should have the opportunity to receive services and support in their communities, regardless of the complexity of their condition, the severity of their condition, the severity of their disabilities, or the challenges of their behaviors. Our team focuses on providing high-quality compassionate behavioral healthcare by utilizing evidenced-based practices, and rendering exclusive therapeutic residential treatment methods in a safe, caring environment. Our services model addresses the psychiatric, behavioral, psychosocial and educational needs of adolescent males and females, ages 9 to 17. These children leave the program able to function effectively in society and prepared for independent living. Our facilities are designed and built exclusively to provide Psychiatric Residential treatment services. Each building has a capacity for twelve consumers with single and double occupancy rooms. The customized floor plan provides adequate space for all consumers. We have integrated the latest in state-of-the-art technology to ensure safety for our consumers. This includes video monitoring, biometric staff recognition equipment, in-house communication system, fully integrated magnetic door locking technology.